The European Union has automatically extended sanctions against Russia until July 31, 2016. European divisions increase despite prolonging measures by six months. 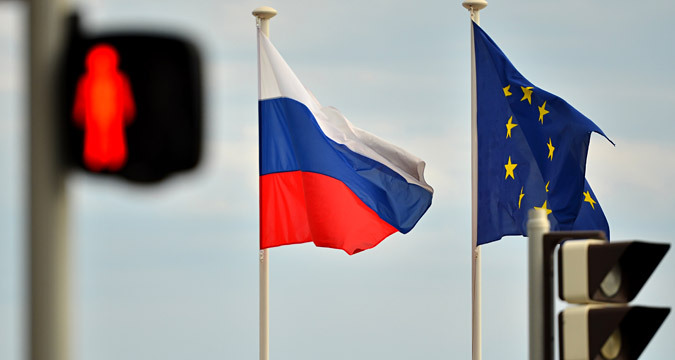 The European Union has automatically extended sanctions against Russia until July 31, 2016. However, not all EU countries were unambiguous supporters of the extension, even though in the end they spoke with one voice, with all members of the EU Council voting to support the decision. In themselves the sanctions raise increasing doubts, says Sergey Utkin, head of strategic evaluation at the Russian Academy of Sciences Center for Situation Analysis. In early December, Italy tried to initiate a dialogue about their utility, blocking the automatic extension of the sanctions and demanding "a political discussion." Calls to cancel the restrictions have also come from France, Germany, Greece and the Czech Republic. Leonid Gusev, a senior scientific associate at Moscow's MGIMO Institute of International Studies, says that even though internal EU discipline trumped political interests of separate member states, the forces in Europe that are trying to strengthen their influence through anti-sanction rhetoric are not weakening. In the European Parliament this force is embodied in the European People's Party and the Party of European Socialists, as well as in a small number of liberal parties, such as the Free Democratic Party of Germany, which although no longer holding parliamentary seats continues to occupy a political niche. In November 2014 Austrian Chancellor Werner Faymann spoke against the sanctions, pointing to their economic futility. In particular, Austrian bank Raiffeisen had relied upon deposits in its Russian branches for a significant proportion of its revenues. "In Europe there is pressure from businesses, which are not used to any hindrances in a market economy. And this pressure results in politicians speaking in favor of lifting the sanctions," said Alexey Portansky, a professor of World Economy and Policy at Moscow's Higher School of Economics. Within the EU there is also a wide range of opinions about the Nord Stream-2 gas pipeline, on which, in spite of the sanctions Germany has signed a shareholder's agreement, provoking complaints from Italy. Italy had been interested in another route, the South Stream, which was canceled on orders from the European Commission. The criticism of Nord Stream-2 can now really intensify, even though experts are not rushing to link the project to sanctions and the economic interests of several countries. The discussion on the necessity to expand Nord Stream would have been intense even without the crisis in South-eastern Ukraine, since talk about reducing energy dependence on Russia started long before, notes Portansky. In general, everyone is losing economically from the sanctions, but Russia and the EU can live with this regime, says Utkin. Also, several western countries have problems that are more pressing than economic issues. "France, Germany, the UK and Italy are the main countries that have suffered from sanctions introduced on Russia's oil, gas and financial sectors. "The financial sector was affected significantly because for a number of European countries the Russian market was very profitable. "Sanctions also complicated relations between banks and their Russian branches. Raiffeisen Bank and Rosbank (whose majority shareholder is French financial institution Société Generale) are examples. "Russian companies have stopped appearing on foreign exchanges. Before the sanctions the main exchange was the London Stock Exchange in the UK. On other platforms, such as the Irish and the New York Stock Exchanges, Russian companies are practically no longer represented. "Moreover, because of the sanctions the Russian corporate sector has been deprived of western credit. As a result, corporate foreign debt has reduced twofold. But Russian corporate loans could have been extended and refinanced and European banks would therefore have received new dividends. These loses amount to dozens of billions of euros. "The main creditors were Germany, France and Italy, which was active in the agriculture sector."